We are excited to introduce nine new math printable resources to Goalbook Pathways that guide students through complex problem-solving. What sets these printable resources apart is the fact that they’ve been intentionally designed with the purpose of differentiation in mind. They strategically scaffold certain skills to guide student thinking as they solve problems. Strategies must be made explicit — ‘this way of drawing explicit attention to strategies and processes provides a model of behavioural regulation for the learner, which may become internalised, a ‘voice in the head’ for future situations. Our hope is that these printables will serve to inform planning but also serve as a go-to independent resource for students as they work on structured tasks that involve multi-step processing. 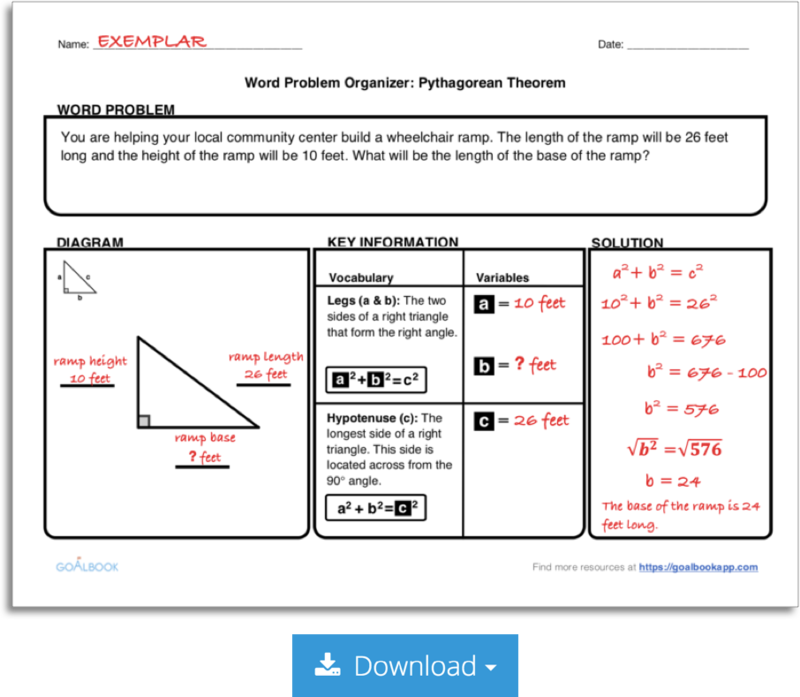 A great example of this is the Word Problem Organizer for the Pythagorean Theorem. It organizes the generalized steps that they should take as they work through a problem and allows them to capture their thinking at every step. The hope is that they’ll eventually no longer need to refer to the scaffold and internalize the information. 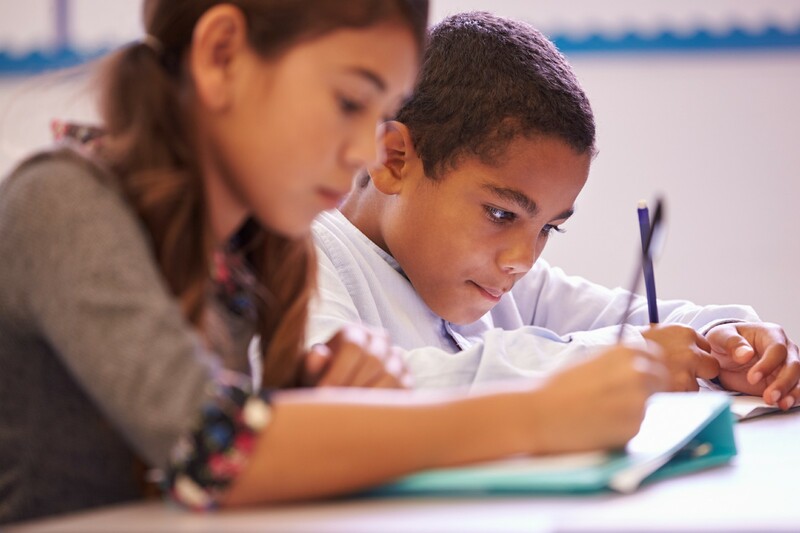 These scaffolds offer teachers an alternative to “showing” and “telling” which are the most common means of instructional representation; they offer them the ability to effectively Review and Restructure the mathematics content presented to students. [Reviewing] relates to interactions where the teacher encourages experiences to focus students’ attention on pertinent aspects of the mathematics involved. [Restructuring] involves teachers making adaptations to modify the experiences and bring the mathematics involved closer to students’ existing understanding. These new printables capture students thinking so that they can easily identify where the breakdown in their problem solving was so they can focus on correcting it.